Does my company really need helpdesk IT support? 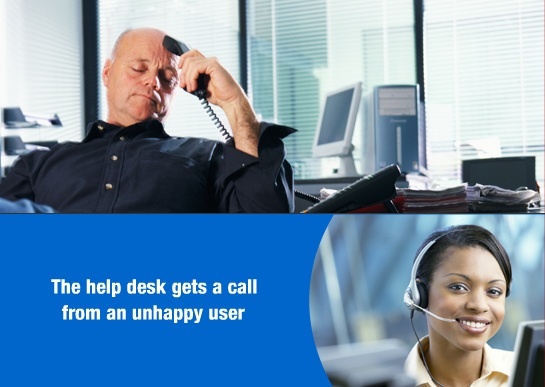 Have you ever asked if your company should have helpdesk IT support? Chances are that if you are asking the question then the answer is probably “yes”. The reason is that clearly support issues have become prevalent enough to make you aware of them and have become a headache but let’s take an objective look at the question. For any business investment or expense, the decision criteria for spending is basically the same; if purchasing the item or service will yield a greater return in revenue then the expense, the purchase makes sense. If it costs more to fix a problem than the cost of the problem, then live with the problem. This philosophy holds for IT support services; such as help desk or support desk as well. Therefore, let us first figure out the cost of the problem. With any IT support issue there are 4 different costs associated with the problem. First there is the loss of efficiency, i.e. how much excess time is a process taking because of an inefficient IT infrastructure. Is your staff waiting for applications to load or web pages to display? How often are employees having to reboot their computers? How frequently do workstations freeze up or lock up? Take the total amount of time spent waiting and multiply by the average cost per employee. To be the most accurate you should use the full burden rate, including payroll taxes, benefits that accrue such as sick days, vacation time or paid time off. This is the loss of efficiency. The second and third costs to you is the loss of revenue and the subsequent profits. If the staff members affected by the network issues are producers like sales, customer service, dispatch, etc., i.e. anyone that, if not working, prevents the company from generating revenue, then the time lost from failed IT services is actually costing you revenue. More importantly, it is costing you the gross profits that would be associated with the revenue. This is the opportunity costs. Finally, there is the loss of productivity. Who handles the problems? In many companies, there is usually someone who is more technical that deals with these issues. I am not talking about an in-house IT person but the person in each office that knows their way around computers but who’s job may be something completely different. In small companies, this is frequently a manager but it could be anyone. Since they tend to be technologically savvy they have fewer issues than most, however, they are always tasked with fixing other people’s issues. Since they weren’t hired to deal with IT issues, when they are, you are also subject to the loss of their production as well as an increase in their inefficiency. If an employee loses 1 hour a week (that is only a 2.5% loss of efficiency on a 40-hour work week) and their hourly rate is only $20/hour, with a burden rate of 15% the loss of efficiency is $20/hour x 1.15% x 1 hour = $23. The loss of Gross Profit is $100,000 x 50%/52 weeks/40 hours = $24.04 lost. Total lost = $47.04/hour or $195.99 per month or $2,351 per year. Multiply this by the total number of employees effected and you have the cost to you. If the cost of fixing your problem is greater than the cost of the problem, don’t do it. If, as it is for most companies, you are losing more money than you would spend, the only question is whether you should have in-house support or hire a company. We will visit this issue next week. Thanks for breaking down the problem of not having IT support. Ideally, technology should work the way it’s supposed to all the time, but in reality, that’s hardly ever the case. Like you mentioned, there’s a lot of negatives – lost time, money, efficiency all can add up pretty quickly. Thanks for the perspective!